“One Race, One Blood,” was my first Ken Ham and it won’t be the last. Both authors: Ken Ham and Charles Ware did a good job at presenting their arguments against the “so called” Theory of Evolution. First they cover the subject in general and then they cover some of the dangerous implications including racism. Ken Ham writes, “Perhaps the most infamous abuse of evolution to justify racism was Adolf Hitler’s Nazi regime, which promoted a master race and sought to exterminate the so-called inferior races.” (p.30) The authors were straightforward and honest to admit that the Theory of Evolution mindset is not the soul cause of racism, but did stress that it’s mindset is one of the major causes. I was sucked into the book from the very first page when Ken Ham told the story of an a African pygmy by the name of Ota Benga who was brought to the United States in 1904 by an African explorer who had bought him at a slave market. Ota’s wife and children had been slaughtered and their bodies mutilated in a campaign of terror by the Belgian government. Ota was 4’11’ and weighed 103 pounds and people literally treated him as an animal. They foolishly thought he was the lost link and did all kinds of inhumane things to him including caging him up with an ape! People would stare into his cage and throw things at him trying to evoke a response. I feel I was not adequately equipped to counter the “Theory of Evolution” in seminary. Now (after reading “One Race, One Blood”) I feel well equipped to talk against evolution with its dangerous implications. The book was well documented with references. I was also surprised at how EASY the book was to read. BTW… I received this book free for a non-biased review from the publisher. Max Lucado’s, “Max On Life, was a book that really fed my soul. It was extremely well written and very relevant. It’s a beautiful compilation of all the types of questions Max has received in his many years of ministry. Lucado has a way of answering each other them in a masterful way. “Max on Life,” is not a book of pat answers, but rather it’s book that will deepen your faith in God. It’s a book that you can pick up and read at any place. It is divided into 7 major sections: (1) Hope (2) Hurt (3) Help (4) Him/Her (5) Home (6) Have/Have-Nots (7) Hereafter. It’s exhaustively indexed with a Subject and Scripture index which makes it real easy to find what your looking for. The book is good for both individual and group study. I recommend NOT going straight to the answers, but to struggle with each of the questions on your own and THEN read what Max has to say. The book was extremely easy to read and I give it a 5 Star rating! I received this book free through the publisher in exchange for an unbiased review. I’ve been reading Max Lucado’s MAX ON LIFE in which he has compiled the questions that he has received throughout his ministry combined with his answers. In one chapter (Chapter 28) he discusses how we have ample resources to reach out to the world. Ours is the wealthiest generation of Christians ever. We are bright, educated, and experienced. We can travel around the world in twenty-four hours or send a message in a millisecond. We have the most sophisticated research and medicines at the tips of our fingers. We have ample resources. A mere 2 percent of the world’s grain harvest would be enough, if shared, to erase the problems of hunger and malnutrition around the world. There is enough food on the planet to offer every person twenty-five hundred calories of sustenance a day. We have enough food to feed the hungry. And we have enough bedrooms to house the orphans. Here’s the math. There are 145 million orphans worldwide. Nearly 236 million people in the United States call themselves Christians. From a purely statistical standpoint, American Christians by themselves have the wherewithal to house every orphan in the world. I don’t mean to oversimplify these terribly complicated questions. We can’t just snap our fingers and expect the grain to flow across borders or governments to permit foreign adoptions. Policies stalemate the best of efforts. International relations are strained. Corrupt officials snag the systems. I get that. Lucado goes on to write that change needs to begin with the Christians… just as it started two thousand years ago with the transformation of the apostles, who gave up everything to take the gospel everywhere. Thanks for the challenge, Max! The world is changing constantly at an alarming rate particularly with the technology and information segment. Jolt! by Phil Cooke is a book that helps a person maneuver in a ever changing environment. 65% of North Americans spend more time with their computer than their spouse. E-mail is addictive in the same way slot machines have been shown to be addictive. In 2009, it’s been estimated, the average corporate worker spent more than 40% of his/her day sending or receiving some 200 e-mail messages. Information overload is a $650 billion drag on our economy each year. In a world home to 6 billion people, roughly 600 million e-mails are sent every 10 minutes. 77% of workers report that e-mail downtime causes major stress at work, with 10 percent actually assaulting their computer. In 2010, Generation Y outnumbered Baby Boomers… 96% of them have already joined a social network. One out of eight couples married in the United States in the last year met via social media. If Facebook were a country, it would be the world’s third largest. A 2009 US Department of Education Study revealed that, on average online students outperformed those receiving face-to-face instruction. One in six higher education students is enrolled in online curriculum. The fastest-growing segment on Facebook is 55-to-65-year-old females. There are more than 200,000,000 blogs –increasing daily and 54 percent of bloggers post content or tweet daily. Because of the speed in which social media enables communication, word of mouth becomes world of mouth. 25% of Americans in the past mouth said they watched a short video… on their phone. In the near future we will no longer search for products and services, they will find us via social media. I like the book because it’s divided up into easy to read chapters that deal with life management in general. The content wasn’t necessarily new, but it was written in such a way that was refreshing. The individual chapters deal with such things as vision and planning as well as how to live your life in such a way that you make the greatest impact. It wasn’t necessarily a hard read. I found that most of the chapters could be read in several minutes and found many illustrations that I filed away for later use in my ministry as a pastor. I received this book free of charge in exchange for an honest and unbiased review. “Judge Not Lest You Be Judged,” has to be one of the most well known and misquoted verses in the Bible. Somehow we’ve gotten into our heads that it is unchristian to judge others. YES, the phrase “Judge Not Lest You Be Judged,” is in the Bible, but you have to look at it in context. The passage is found in Matthew chapter seven and is part of Jesus’ Sermon on the Mount. Matthew 7:1–5 (NKJV) 1 “Judge not, that you be not judged. 2 For with what judgment you judge, you will be judged; and with the measure you use, it will be measured back to you. 3 And why do you look at the speck in your brother’s eye, but do not consider the plank in your own eye? 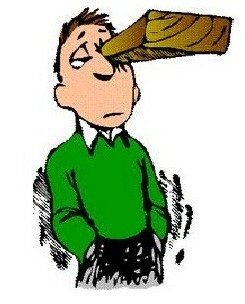 4 Or how can you say to your brother, ‘Let me remove the speck from your eye’; and look, a plank is in your own eye? 5 Hypocrite! First remove the plank from your own eye, and then you will see clearly to remove the speck from your brother’s eye. Notice Jesus’ never says don’t take the speck out of your brother’s eye. He says, “First remove the plank from your own eye and then you will see clearly to remove the speck from your brother’s eye.” There’s no way you can remove a speck out of a person’s eye without executing a little judgment. There’s a reason why Jesus uses the illustration of an eye. The eye is one of the most sensitive parts of the body. One of the points Jesus was making is that we need to be careful. When Jesus said, “Judge Not Lest You Be Judged,” he was talking about the kind of judging in which you look down on a person and question their motives. A classic example is the time Jesus was walking through a wheat field with His disciples. They got so hungry they plucked off a few heads of wheat. The Pharisees saw it and immediately said, “It is unlawful to harvest on the Sabbath!” (Matthew 12:1-8) Which leads me to ask, What were the Pharisees doing out in the wheat field? I have a feeling they were there trying to catch Him messing up. I can just see them hiding behind the bushes spying on Him hoping to catch Him at something! It’s THAT type of judging Jesus condemns in Matthew chapter seven. Jesus was speaking to the religious people who were not only looking for sin in people’s lives… they were wanting people to sin! They wanted people to sin so that they could jump out of the bushes and go, “Gotcha!” THAT’S THE PLANK THAT JESUS WAS TALKING ABOUT. Jesus wasn’t saying don’t judge because just a few verses later in the chapter He says, “Beware of False Prophets who will come to you as lambs but are ravenous as wolves,” and then He tells us, “You will know them by their FRUIT.” How can you beware of false prophets if you don’t exercise a little judgment? Systematic Theology (big word) is balancing theology with itself. In order to do that you’ve got to use Scripture to interpret Scripture. It’s very dangerous to take a single verse such as Matthew 7:1, “Judge not lest you be judged,” and build a whole theology around it. The question is what does the rest of the Bible say about the subject? The bottom line is that we are called to bring out the best in one another and in order to do that we need to be able to be willing to speak the truth in love.